We all wear a scarlet letter. But unlike Hester Prynne's, we're the only ones that see it. A bit fat label that precedes us into a room. That controls what we say and if we say it. Some days I know I'm wearing it. But other days it sneaks into my thoughts and derails me. There's no denying what I've done or what's been done to me. And if you can't see passed your past, you will get muddled and stuck there. Living free requires more than "letter removal." As much as I wish I could scrub brush myself clean, the remembrance of past hurts, shame, and guilt remain. There is no quick fix. I cannot just decide to love and forgive myself and it magically happens (I know, I've tried). I'm a practical girl. I know it's a process. And I know that God is tapping on my heart in this area. 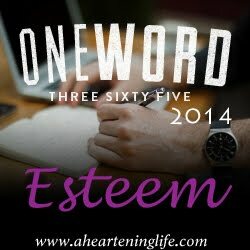 I chose Esteem for my one word for the year, after all. But I'm stubborn. It takes a tremendous amount of effort to believe something different — especially when you carry a laundry list of your issues with you so you can prove how awful you are. Before you start worrying about my state of mind, I am alright. But I know I'm not the only one carrying a label. I know I'm not the only one who struggles to find the Light in dark places. There is a difference between believing and knowing. And believing takes faith (Hebrews 11:1). So whether I see that I'm a gift to this world or not, I can believe it. I might not be able to see His plan, but I trust that He has one and He is working it out in my life. But I need to have a willing spirit. Willing to look for the silver lining in the cloud or see the glass as half full. Because there is more than one way to look at your situation. There is more than one way to see yourself. Some days I cannot see it, no matter how hard I try. But that doesn't mean it isn't there. Mary DeMuth talks on her Your Life Uncaged website about not being defined by the past: "I am not Mary who suffered (though it is part of my story). I am Mary who has been set free. Untangled. Opened Up. Ready for new things. Anticipatory." I am free. Each moment a new opportunity to live the life God has for me. But instead I have chosen the cage. Jesus came to set us free. He came to redefine us — not so we would to live plagued by our failures, scars, or regrets. I must believe this truth, even though I still carry proof to argue otherwise. If I keep reminding myself who I am and Who's I am then perhaps someday, I will see I am not caged in or burdened by heavy chains. Truth will override the fiction I've been writing. And I will wear a new label. The one I was meant to wear. The one that I have always worn, but haven't always been able to see. 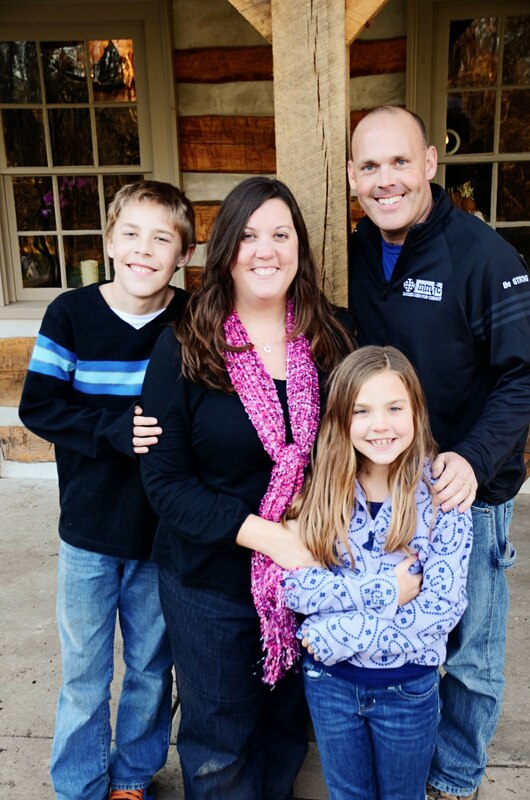 Risking heart exposure with Amy Sullivan and her #riskrejection link-up. If I were ever write something on the importance of backlinks, I would use this post because I think I just clicked on everything listed and then clicked again because I got sucked into your story! I love the sweet picture of 10 year-old you. Precious. Sweet place, adorable family, powerful message. Christy, thank you for your courage and honesty here. I am inspired to remember my new name - my new identity - day by day, even moment to moment because it's not a once and for all decision, is it? You illustrate that so powerfully here and proclaim the healing power of Jesus. Bless you! Wow. Thank you for your bravery and your honesty. *hug hug* I'm so glad to be sharing this #riskrejection adventure with you! Beautiful words and powerful story, Christy. Thanks for #riskingrejection to share your heart with us. Blessings! Thank you all for coming by and seeing my heart words as a risk. Being real, vulnerable is hard. I am encouraged by you all!